Was 7th Place Really The Holy Grail Or A Poisoned Chalice? Much has been made of why teams just below the top six clubs of the Barclays Premier League have struggled to make 7th place their own, Everton, Leicester, Watford, Wolves and West Ham have all flirted with securing what will probably be a slot that guarantees European football next season. Read more about Was 7th Place Really The Holy Grail Or A Poisoned Chalice? West Ham: Fabianski, Balbuena, Zabaleta, Ogbonna, Masuaku, Rice, Anderson, Sndograss, Noble, Antonio, Arnautovic. Subs: Adrian, Obiang, Wilshere, Diop, Fredericks, Perez, Diangana. Leicester: Schmeichel, Pereira, Evans, Maguire, Chilwell, Ndidi, Maddison, Albrighton, Tielemans, Gray, Vardy. Subs: Ward, Morgan, Iheanacho, Barnes, Okazaki, Mendy, Fuchs. Bereft of the creative input that the injured Manuel Lanzini and Samir Nasri bring to the team, manager Manuel Pellegrini has been handed what many will see as a poisoned chalice in the form of a 'fit again' Jack Wilshere. It appears that the very talented but much injured former Arsenal and England midfielder will be adding to his miserable quota of four games played by featuring for the home side at some point during the match against Leicester City at the London Stadium this Saturday afternoon. Outrageous- Snodgrass Fine More Than Some Racial Abuse Euro Fines! The FA might be on a little bit of a power mission as they are attempting to remain the FA as opposed to the English FA, well FA has many connotations especially when it comes to their response, or lack of response to racism in the sport of football. The FA's paltry middle of the road attitude has far reaching consequences, fans around the Globe, particularly in certain areas of Europe have been getting away with outrageous amounts of racist comments and actions against players of visiting teams, sometimes even their own players! Read more about Outrageous- Snodgrass Fine More Than Some Racial Abuse Euro Fines! With all eyes on next season, Hammers' recruitment will be an important issue as the club looks to build on the impressive foundations laid down by Manuel Pellegrini in his first year in charge at the London Stadium, several key players will be leaving, none more so than Andy Carroll. When match officials who have just overseen one of the worst set of decisions in the Barclays Premier League this season are seen laughing and joking with the hierarchy of the club that has just benefited from some really dubious judgements, then any neutral observer would assume that there has been a degree of collaboration. The fact that these 'events' will get brushed under the carpet is synonymous with the dual values applied to the League's 'top six' sides and the rest, it has become accepted that 'lower' teams just don't get the rub of the green from the officials in charge. Manchester United: De Gea, Jones, Smalling, Rojo, Dalot, Fred, Pogba, Mata, Lingard, Martial, Lukaku. Subs: Romero, Lindelof, Rashford, Pereira, Darmian, McTominay, Greenwood. West Ham United: Fabianski, Balbuena, Zabaleta, Ogbonna, Masuaku, Noble, Rice, Lanzini, Snodgrass, Anderson, Hernandez. Subs: Adrian, Obiang, Diop, Fredericks, Antonio, Holland, Diangana. At this stage of the season clubs like West Ham have little to play for except the finishing position bonus that they receive depending on how high up they finish, but this season could have ended differently but for a ridiculous injury list that at some points beggared belief and some lamentable performances epitomised by the loss to Wimbledon in the most open of FA Cups for 20 years! 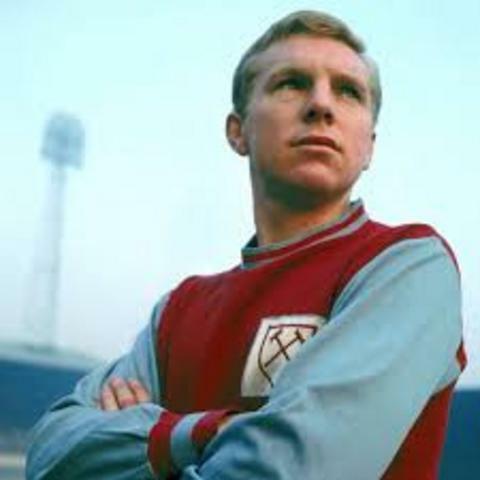 The words brilliant, or magnificent, or exceptional are often banded around when people refer to football players who left a marked impression, not the sort of 'impression' that Billy Bonds might have left on an unsuspecting striker, more something of great significance. The West Ham United team that takes to the pitch at the beginning of next season will be barely recognisable from the team that played most of this season, the injured will have returned and the 'lame' released as Manuel Pellegrini looks to take his team to that 'unicorn' of targets, a top six place in the Barclays Premier League. In the past, many have tried and in most cases failed miserably, although 'H' Redknapp did manage to achieve a top six finish once back in 1999!